Did you know that the foods you eat can have a big impact on your eye health? Human eyes need certain nutrients in order to keep working properly throughout your life. Fall is the perfect time of year to boost your intake of these nutrients, as many typical fall foods are rich in the nutrients that your eyes are hungry for. Here are some of the foods you should be including on your plate this fall to keep your eyes healthy. Root vegetables such as carrots, sweet potatoes and butternut squash are plentiful in the fall. 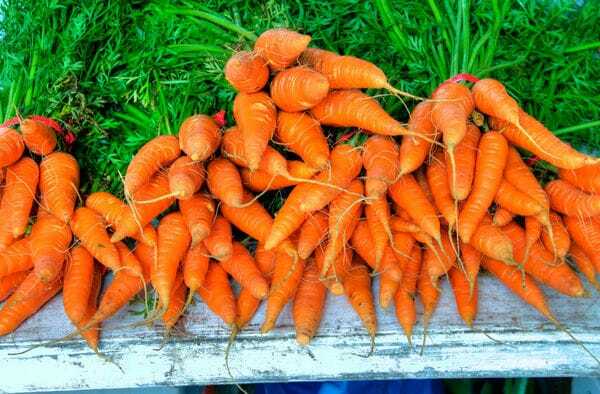 They contain beta carotene, a form of vitamin A, which gives the flesh of these vegetables its distinctive orange color. Beta carotene is an essential vitamin for promoting eye health. The body naturally converts beta carotene into retinol, which allows you to see clearly even in low light. Were you told as a child that eating carrots would help you to see in the dark? It turns out that this is one piece of motherly advice that really should be listened to! Do your eyes a favor by making the most of delicious orange-colored fall vegetables such as carrots, butternut squash and sweet potatoes. They are delicious when roasted with a little olive oil, or you could slice up raw carrots and serve them with hummus as a healthy party snack. Although these green vegetables can be bought at all times of the year, they are sweetest when harvested in the cool weather of fall. Kale, spinach and broccoli are all rich in lutein, which is an important component of the macula, the most sensitive region of the retina. Lutein protects these sensitive cells from being damaged by bright light. Eating your greens is the eye health equivalent of applying sunscreen. Kale, spinach and broccoli are traditionally steamed or boiled, but for a tasty alternative you could sautee spinach with some garlic, or lightly coat kale with olive oil and herbs and roast it in the oven for a deliciously crunchy treat. However you cook your fall vegetables, be sure to include them regularly in your diet. A daily dose of the nutrients needed for eye health will help to keep your eyes functioning at their best for many years to come.